I'll be honest with you, I have a weird appreciation for things that are executed in mini versions. 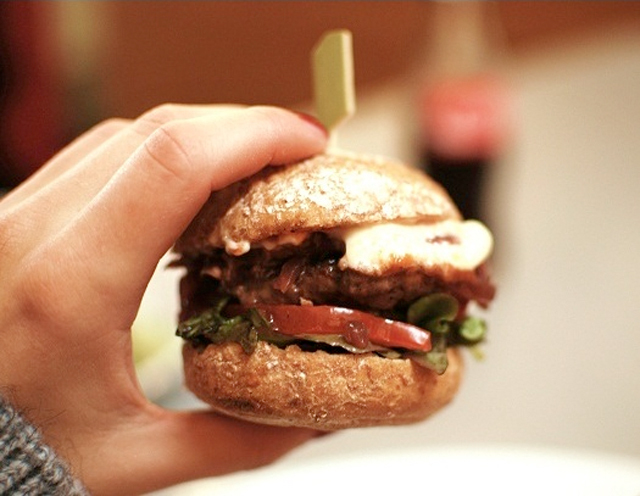 What can I say, 3 tiny burgers just taste better than 1 big one, right?! ;) I'm now hooked on de Burgermeester and their chicken burger with mango chutney is insane. High quality and surprising - even vegetarian - burgers definately make it one of my hot spots (see my complete list of Amsterdam hot spots here) and too good not to share with you even though it's not fashion related. ps. the winnners of the Ydeltuyt give-away are randomly selected. Congratulations to Laura v. L. and The Trendy Fashionista!